The major source of labradorite is on the north central coast of Labrador, Canada, where big blocks of the material are available. It is also found in India, United States, Finland and Ukraine. 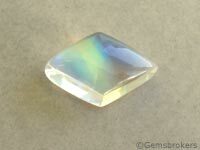 The dark gray variety of labradorite comes mainly from Madagascar.